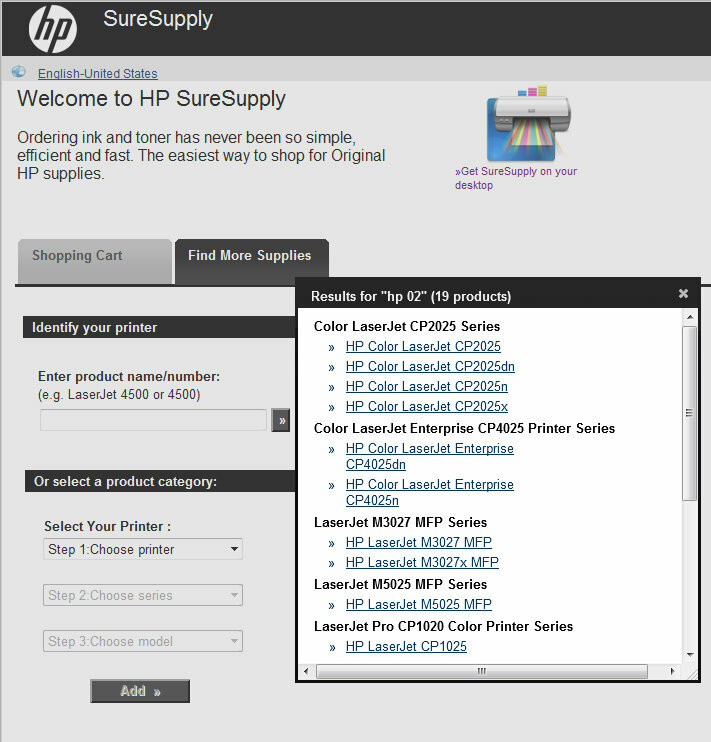 After navigating around the HP website, I find myself at an HP SureSupply home page that is different than what I've seen in the past. I notice that this page says "Enter your printer name or ink cartridge number". 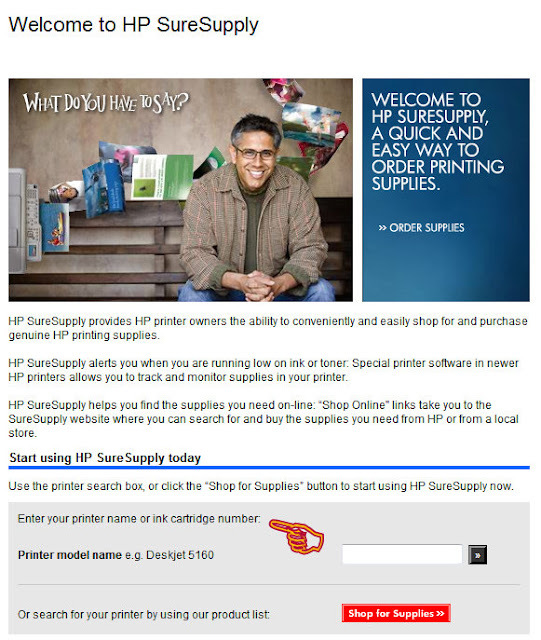 The search on the HP SureSupply page with which I am familiar only allows searching by printer model, not ink cartridge number. I enter my ink number "HP 02", and press Enter. It load the page with which I am familiar and prompts me to select from a list of printers with "02" in their model numbers. The 02 ink cartridges are not in the list.